This feature is available for all Chrome OS based devices. 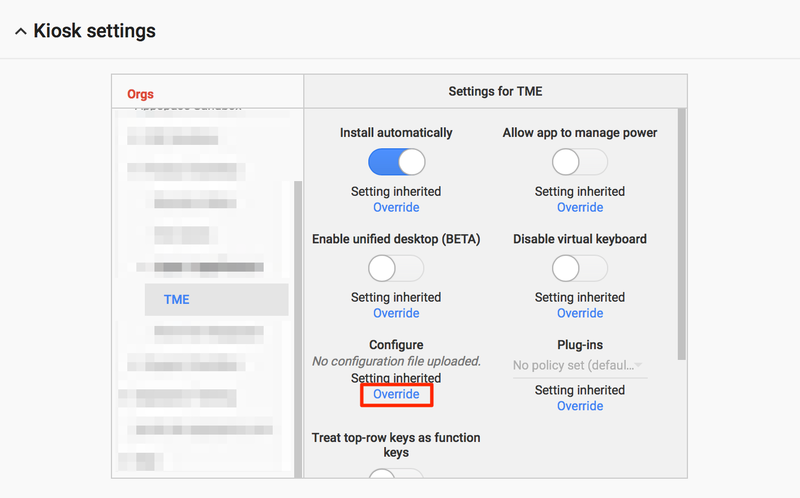 Once you configure Google CDM, the device will be automatically registered with no user intervention upon reboot. For instructions, please refer to: Configuring Chrome OS devices with Google Chrome Device Management (CDM). 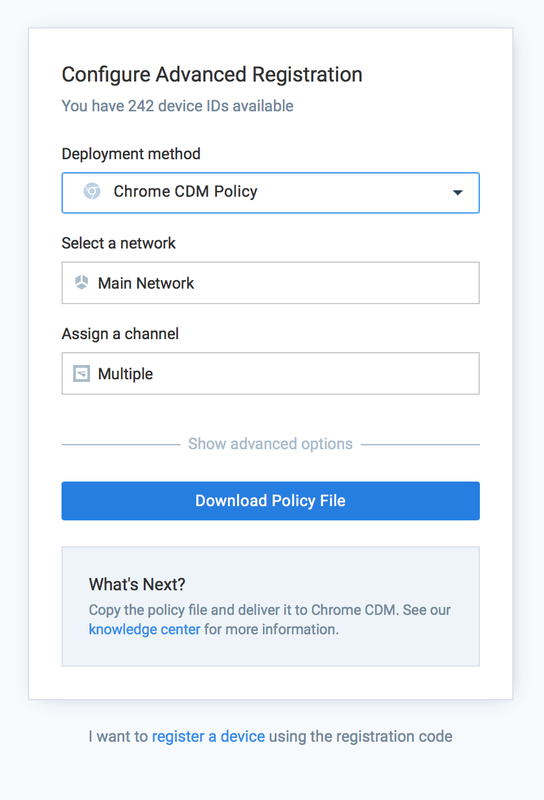 In the Configure Advanced Registration window, select Chrome CDM Policy for the Deployment method drop-down menu. Select the network the device is in, and assign a channel for the device. Optionally, clicking the Show advanced options allows you to configure the Device Description, Device Group and Device tags for the device. Click Download Policy File, and save the file to your local machine. Click Download, to download the Policy.json file to your default download folder in your local machine. 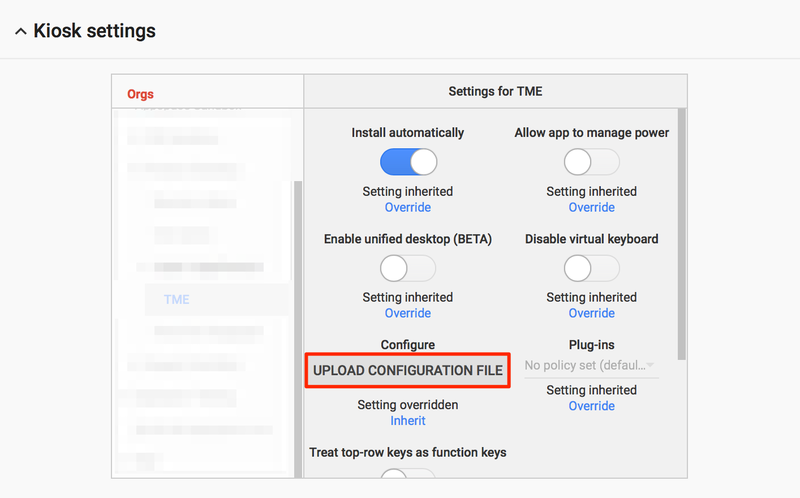 Log in to your Google Admin console, and from the Admin Console click Device Management > Chrome management > App Management. Search and select the Appspace app. Click the Kiosk Settings and select the organization the Appspace App device is located. In the organizations settings section, click the Override link under Configure. Click the UPLOAD CONFIGURATION FILE button, and select the Policy.json file from the default downloads folder. Click Save. 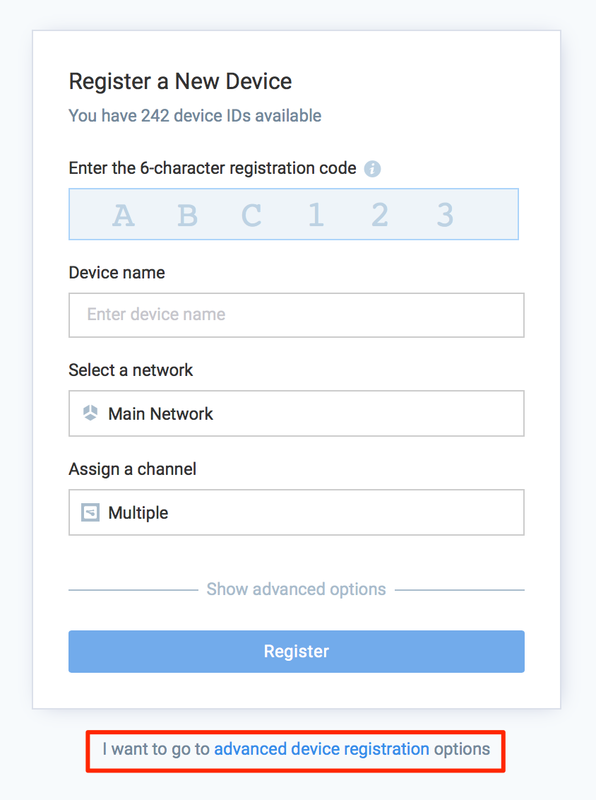 Unregistered devices connected to your local area network will now be automatically registered by the Appspace App when it detects the local policy file on the network.